It's been tricky for some of us to remember the games of 2014. Was it because it was so long ago or because they weren't that memorable in the first place? Now our votes have been cast, and we've already broken a record, the total amount of games nominated: 96 games, from 40 voters! Thanks to everyone who voted, 35-40 voters is definitely the sweet spot we need to reach to have a meaningful ranking so I'm glad we made it! I didn't play those remakes, but I played the original Ruby long after the fact, after playing Diamond on DS, so going back felt rough! The remakes look great though. I'd be super excited for a Diamond/Pearl remake next (hopefully on Switch and not 3DS), because that was the gen that got me back into Pokémon and added tons of quality-of-life improvements (the touch-screen alone was a godsend). Also, forgot to mention: I'll include links to the GT Reviews for each game, make sure to check them out, it's a great nostalgia blast! I totally forgot when those even came out. 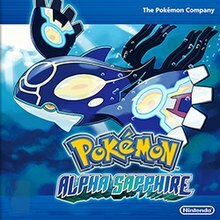 I mean, Sapphire is my favorite pokemon game (mostly because it's the one that I played when I was 11) and even as one of the few people that actually really enjoyed XY apparently I still couldn't get into those remakes beyond the "oh it's the game I like but in 3D I guess" factor. Still better than Moon. I honestly kinda hated that game and never even finished it, never even touched Ultra Moon. Because of the way I think people "remember" Pokemon games in relation to others in the same year, I'm kinda surprise to see one on this list. I always got the idea, aside from a couple of specific instances, that they kind of get forgotten after each proceeding generation. The original Sapphire was the very last Pokémon game I both bought and played. I have had no interest in the series since then, so I never tried this one. It was a good remake but not good enough for my list. Probably influenced a bit by my recent playthrough of it, but out of what I've played from 2014 it's my #2. Another countdown!!! Sweet (Now if EZA can hit their $46K goal......). Anyway: Gen 3 Pokemon is the last gen where I enjoyed the games. Starting with Diamond and Pearl, there's a lot I just didn't like about them, so I only identify with the first three sets of games. Also, I'm not a fan of the remakes because of several design choices (plus I don't have the series), so I haven't played these. It was a year of niche games for me. I only expect two of mine to make it. I actually watched the GT Review of this recently because I had just finished Soul Silver and wanted to see what that remake was like. I was pretty surprised. Soul Silver changes a lot of stuff but in general it's the same game, whereas ORAS seems so so different from the originals. This year was pretty lacking for me, I didn't play too many new or big releases this year, so like many, my lists has a good amount of smaller games on it. @tokeeffe9 I feel the pain, brother. @Sheria I understand that completely! I wonder where my #1 will end up! I didn't even know there's a Pokemon game that year.